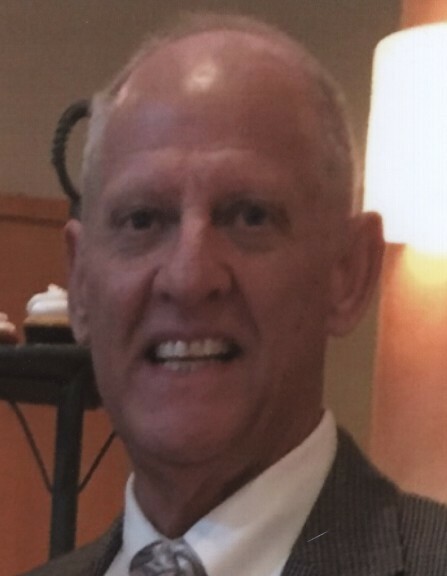 Mr. E. Harold “Hal” Nolan, Jr., 73, of Lake Wylie, SC, passed away Monday, April 1, 2019 at Atrium Health, Pineville, NC. Funeral mass will be 9:30 a.m. Friday, April 5, 2019 at All Saints Catholic Church. The family will receive friends 4:00 – 8:00 p.m. Thursday at M. L. Ford & Sons Funeral Home, 4820 Charlotte Highway, Lake Wylie, SC. Hal was born May 29, 1945 in Pensacola, FL to the late Ernest H. and Merle Nowell Nolan. He was a graduate of Florida State University and had a long career as a manager for an international cement manufacturing industry for Lafarge, an international corporation. When he retired at age 48, having become legally blind, he dedicated his time to volunteering. For 13 years, he took 3 buses in the hot Ft. Lauderdale sun to get to a soup kitchen and help feed 200-400 people daily at the Cooperative Feeding Program. He got the Volunteer of the Year award from the Miami Dolphins and they presented him with a check for the feeding program. Also close to his heart for over 40 years, was United Cerebral Palsy Association, locally and notionally. He was the national President of United Cerebral Palsy Association and traveled around the country to promote their mission and visit affiliates. In 2007, he moved to Lake Wylie and immediately began volunteering for Clover Area Assistance Center and Joined the Lake Wylie Lions Club. Hal has always said that helping others has brought a real joy to his life. Survivors are his wife Jo (Josephine) C. Nolan; daughter Kelly Christine Nolan Trites (Stephen); son Brant Matthew Nolan all from Lake Wylie, SC; sister Mary Catherine Nolan of Pensacola, FL; and grandchildren Chasen James Trites and Tanner Nolan Trites of Lake Wylie, SC. Memorials may be made to the Alzheimer’s Association, 4600 Park Road, Suite 250, Charlotte, NC 28209, Lake Wylie Lions Club, and United Cerebral Palsy Association, 1825 K Street, NW, Ste 600, Washington, DC 20006.